We have kittens! 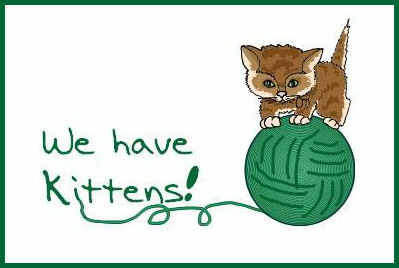 Kittens come and go quickly, and are sometimes adopted out before they have been posted on the HART website. If you would like to adopt a kitten, the best first step is to read our kitten adoption policy. If you feel that your situation is a fit with our policy, please fill out and submit an online adoption application. Even if you aren't sure yet WHICH kitten(s) you want, getting pre-approved to adopt is recommended, so that you'll be able to move quickly if you discover a HART kitten that you can't live without! Also, please remain open-minded if the kitten you have your heart set on is adopted before you are approved: there'll certainly be another to steal your heart.